Cafeteria Workers: Annual Beavers vs. Ducks cookie survey. 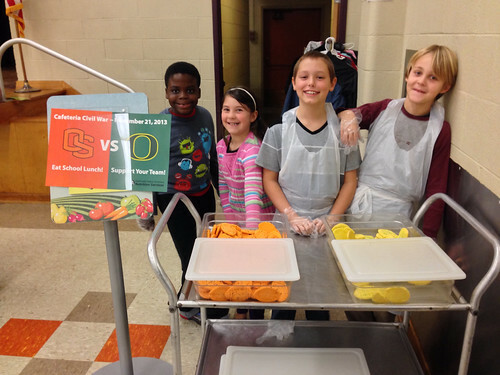 Each year before the Oregon State vs. Oregon football game, our school district Nutrition Services department provides a cookie treat as part of lunch before the big game. Students are offered a choice between an orange OSU cookie, or a yellow University of Oregon cookie. This year, our informal survey concluded that Duck fans edged our Beaver fans by just a few crumbs.